I’m not the CEO or Executive Director of my organization. What can I do about triple crown leadership? A great deal. First, don’t fall into the trap of assuming that leadership is only for people in positions of authority. Leadership is not about rank or title. It is a way of acting and thinking. At best, it is a group performance, and you can influence that group. (That’s why we focus on “leadership” and not “the leader.”) Triple crown leadership invites all people to step up and lead from where they are. Sometimes they lead, and other times they follow, letting others lead. All people should be stewards of the organization’s colors (purpose, values, and vision) and culture of character. 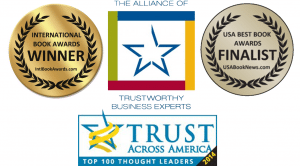 What are the five triple crown leadership practices? Alignment: Collaboratively align the organization achieve a state of “flow” and peak performance. My organization does not have triple crown leadership. What can I do to influence it to move in that direction? Start by developing your own triple crown leadership. Focus on the three Es (excellent, ethical, and enduring) and role model the five practices. Practice triple crown leadership with your team. Build it into your processes, discussions, and incentives. Identify key influencers or allies in the organization and work with them to identify two or three initiatives that can build momentum for triple crown leadership in the organization (such as updating the hiring process, piloting leadership development programs, and forming skunk works teams for important projects). My immediate boss is not a triple crown leader. How can I influence him or her to embrace these practices? Triple crown leadership often entails leading from below. Often, we can influence people deeply even when we work for them. Some leaders may be open to these approaches but are not familiar with them or do not know how to proceed. Begin by developing your own leadership capacities and role modeling the practices. Start showing results. Demonstrate ethical decision-making through dialogue and active debate. Raise long-term issues alongside the short-term imperatives and creatively look for ways to avoid the trap of short-term thinking. Achieve results ethically and enduringly, so your bosses want to know how you do it. Engage your boss in open, one-on-one dialogue, expressing your ideas and input thoughtfully while also listening to his or her ideas and concerns. Demonstrate that you are a productive and loyal team player. If you find the situation hopeless after your best efforts, move on and find an organization that fits your values and aspirations. 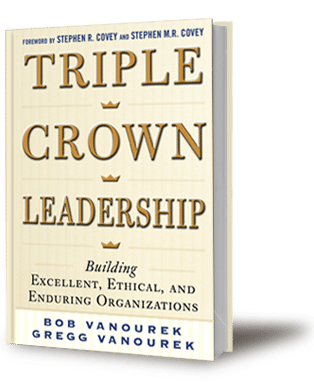 How does Triple Crown Leadership fit with other books in the field? We have learned a great deal from books like Good to Great, Built to Last, Great by Choice, In Search of Excellence, Supercorp, Higher Ambition, Sustainable Excellence, Authentic Leadership, True North, On Becoming a Leader, The Leadership Challenge, Servant Leadership, and many more. We encourage you to read them. We are of course adding our own voices to the dialogue, based on our own experiences and research. We also see important differences. We are practitioners first. We focus on practice first and back it up with research. 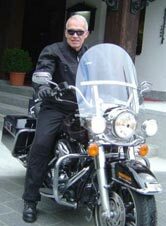 Triple Crown Leadership (TCL) is forward-looking, calling people to the quest, not focused on looking back at past performance. TCL also takes a multisector view, looking at commercial, social, governmental, and hybrid organizations. We focus on actionable leadership practices, not identifying a list of great ventures based on certain criteria. We also bring in many international examples and address synergies as well as the tradeoffs between corporate performance and responsibility. I’m considering joining an organization. How do I find out if it practices triple crown leadership and has a culture of character? Start by doing your homework. Look at the venture’s web site, blogs, Facebook page, Twitter feeds, newsletters, annual reports, and corporate responsibility reports. Search online for articles about the enterprise from reputable sources and bloggers. See if it makes any of the rankings (most admired, most ethical, most sustainable, most innovative, best places to work, etc.). Check out its financial performance versus its peers, or evidence of its financial viability and social impact if it is a social enterprise. Perhaps most importantly, talk to people who work there now and previously. Visit the organization, talk to people, and walk around and get a sense of the place. Ask your interviewers candid questions about how the organization approaches results, ethics, endurance, sustainability, and impact. If you have any doubts, move slowly. While you may feel pressure to take a job, recognize the consequences of working for the wrong organization on your happiness, health, and reputation and the likelihood that you will have to make a change later. Even if an organization has values, the tough ethical questions are not easily answered. So, what is the benefit of your focus on shared values? Values are an important starting point. The process of debating, choosing, articulating, and inculcating organizational values can serve as an important anchor for the organization and help with decision-making. Most ethical problems occur when people do not stop and think about the consequences of their actions or have no checks or controls on their behavior. Values can help with both. In cases where values collide, often the greatest benefit comes from engaging in dialogue with colleagues, viewing things from different perspectives, and examining all potential ramifications. Through such processes, it is likely you will make better decisions, while also instilling a culture of character in the enterprise. Won’t resources spent on sustainability and corporate responsibility just detract from financial results? It depends. Today, we are much better at measuring financial performance than we are at measuring social performance. We believe that it depends on which sustainability initiatives you choose (as some have high potential value in terms of reducing production costs, boosting revenues, or reducing risks, and others do not) and on how well you execute them. There is no magic formula. You must choose wisely, execute well, measure the right things, make adjustments, and more. But we advocate smart sustainability and corporate responsibility initiatives for two primary reasons: first, because it is the right thing to do and they are worthy in and of themselves; and second, because they can boost results when done well. There is a moral case and a performance case for them, but it requires smart strategy, crisp execution, and effective leadership. Don’t you need an extraordinary CEO to create an excellent, ethical, and enduring organization? No doubt, the CEO or Executive Director is critically important. We do not believe it requires an extraordinary leader. We believe it can be guided by an ordinary person at the top committed to an extraordinary quest, and further that it can only be achieved as a group performance with triple crown leadership pervading the organization. The very best CEOs know that great leadership is a group performance. Note, though, that bad CEOs can sabotage triple crown leadership. Triple crown leadership is hard enough as it is, and probably impossible with a CEO who undermines it. Boards must be stewards of the triple crown quest and ensure that the CEO is the right person for the job. Isn’t ethical business just good for business? Over the long run, we believe it is. But ethical challenges are an occupational hazard of leadership, and leaders should be prepared to make difficult choices and to walk away from short-term financial value or increased performance when it requires unethical behavior. Triple crown leadership requires steadfast upholding of the ethics imperative, sometimes even at the expense of the performance imperative. Over time, such actions are likely to pay off in terms of enhanced reputation and loyalty from employees, customers, and vendors and reduced risks of fines and penalties. But most importantly, it is the right thing to do. Triple crown leaders don’t need a performance case for acting rightly. They do it as a matter of integrity. Some of the organizations you interviewed or cited have had problems or breakdowns with at least one of the three Es (excellent, ethical, enduring). Doesn’t that detract from your argument? Recall that Triple Crown Leadership is not a success study. Our intent was not to identify a list of triple crown organizations. Recall also that we specifically sought to interview and research organizations that had experienced breakdowns and that had required turnarounds. Beyond that, all organizations struggle. None of these organizations is perfect. The quest for excellent, ethical, and enduring organizations is ongoing. This quest looks impossible to achieve. Aren’t these standards too high in today’s turbulent world and competitive marketplace? Why even try? Though we cannot achieve perfection, there is great value in the chase. By raising our sights and our standards, we can achieve more than we thought possible because people can achieve extraordinary things. While we cannot expect to get everything right, we can learn and grow in the endeavor, leaving a legacy we can be proud of. Our world needs a different brand of leadership. We are up against grave challenges. We can and must do better. When flexing back and forth between steel and velvet leadership, as you advocate, won’t leaders be viewed as inconsistent even if they try to explain their decisions in terms of the organization’s values? Remember that leadership isn’t a popularity contest. Sometimes leaders must do things that people don’t like. People may disagree with your decision or your rationale, but by explaining your decisions in the context of the values you will show them that you wrestled with these issues and considered the consequences. They may not agree but in the end they will probably respect you for it, especially if you admit when you are wrong and show that you are genuinely open to others’ input. Isn’t “flow” a rare experience? Will triple crown leadership really get us to flow? Yes, flow is rare. 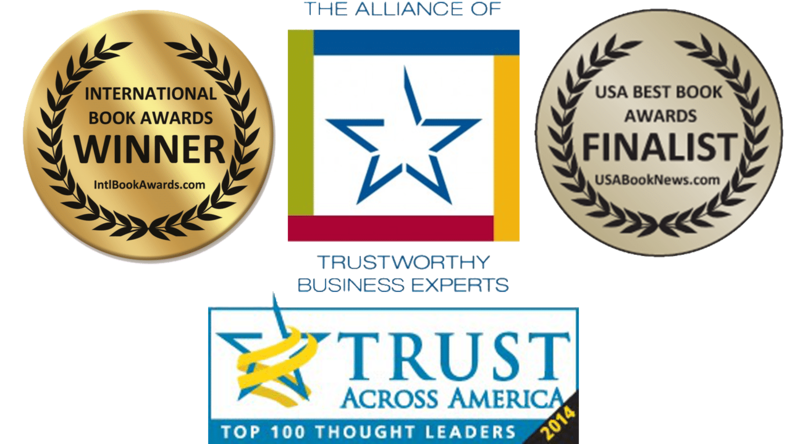 We believe the incidence of flow will rise dramatically as the organization employs triple crown leadership practices. It begins with people who have head and heart. It helps to have an inspiring purpose, values, and vision. It requires flexing between the hard and soft edges of leadership. It requires stewardship of the culture of character. And it requires an organization aligned for peak performance. Does spirituality play a role in triple crown leadership? We are both spiritual. A spiritual perspective recognizes there is something beyond the self, beyond the ego, that matters in life. Spirituality can be a powerful grounding force for triple crown leadership. Some of the organizations we interviewed are strongly spiritual. Habitat for Humanity International is a Christian organization working on substandard housing and homelessness. The Siddaganga Institute of Technology in India is one of more than a hundred institutions run by the Sri Siddaganga Educational Society under the leadership of Reverend His Holiness Dr. Sree Sree Sivakumara Swamiji, a centenarian. A strong case can be made that the spiritual approaches of these organizations help them succeed.